Observe your cash balance trend, overlaid with cash ins and outs over the past year, and forecasted 90 days in the future. Watch a quick demo of the new interactive forecast chart view which shows you a bird’s-eye view of your historical cash flow for the last 12 months as well as a future forecasted cash flow for the next 90 days. See your cash in/out and cash on hand for every month in the past and in the future. 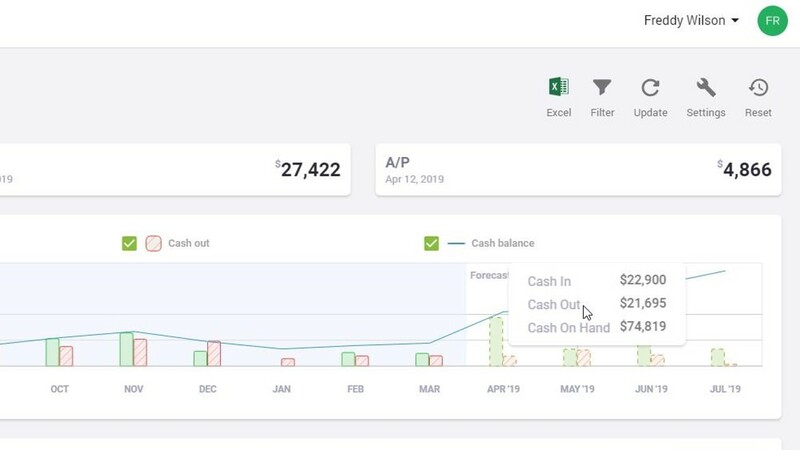 See live updates to the chart forecast when you make changes to the cash in or cash out transactions so you can make better decisions today about your future.